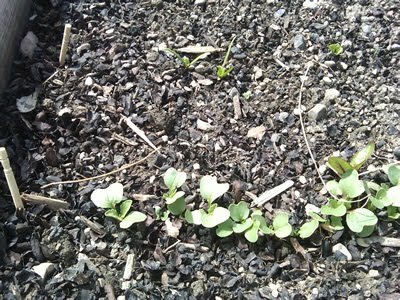 Watch My Garden Grow: Seeds are bursting out! 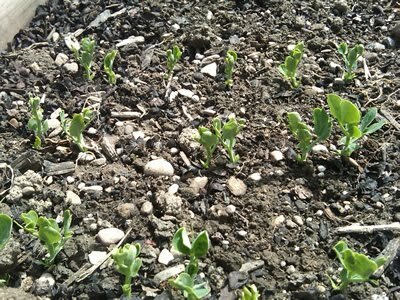 It is always fun to go to the garden and see what's new. 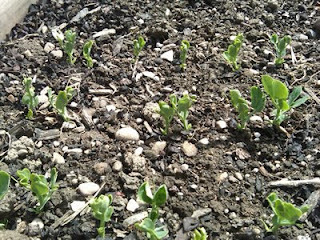 Today another group box (HEE) had the peas popping out! 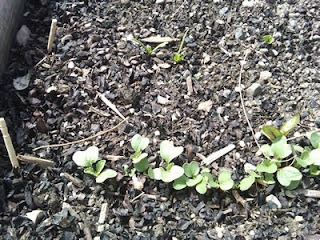 There are just a few spinach and beets sprouting, but the radishes are growing bigger each day!